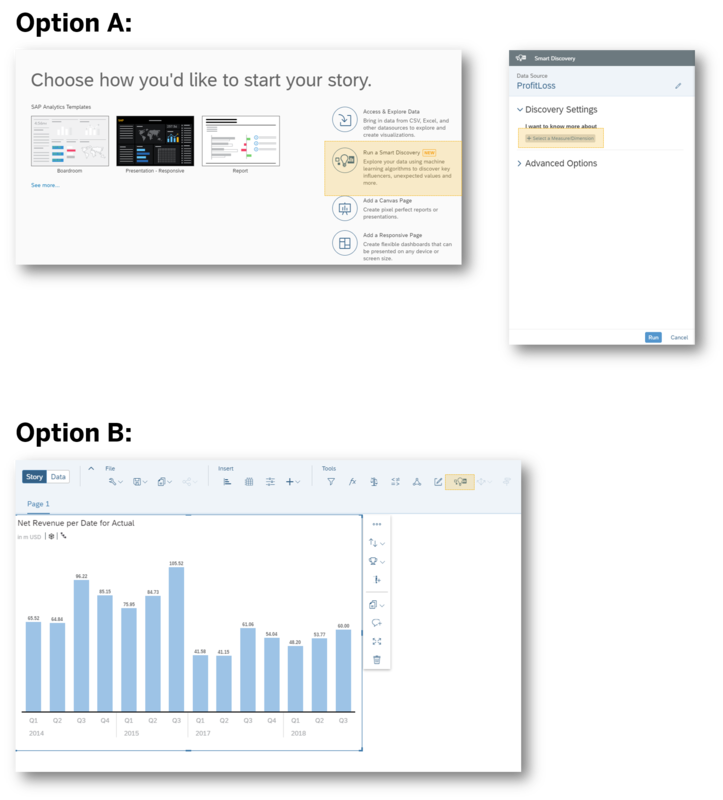 This blog covers some of the latest new features and enhancements in SAP Analytics Cloud and SAP Digital Boardroom release 2018.19. Please note that the Analytics Cloud Help documentation is updated at the same time as the upgrade to this release, so the links here may not yet reflect what is described below until after the upgrade is complete. Upgrade your SAP Analytics Cloud agent to the latest agent version 1.0.203 to take advantage of all the data acquisition types! Too much clutter in your story? No worries, story designers can hide the filter range details for a cleaner look and feel. This is the best practice for responsive pages as these details will not get cut off when widget size adjusts to the available space. 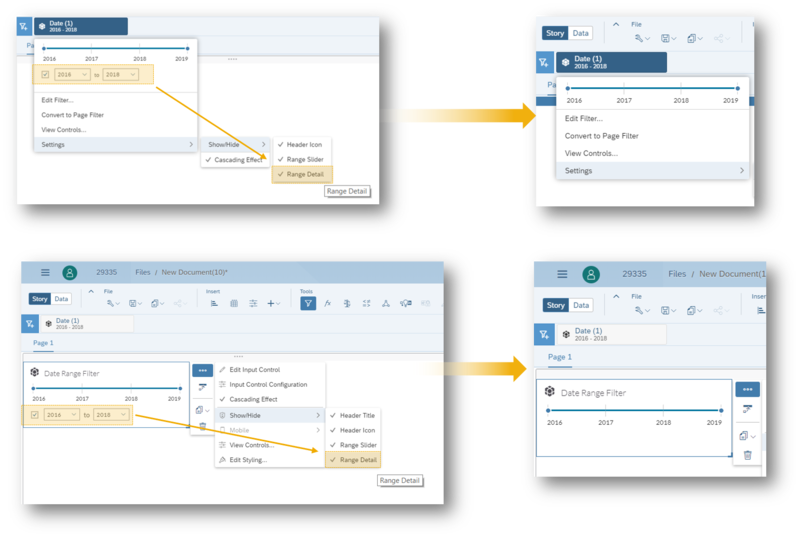 Smart Discovery will generate four story pages populated with insights about your selected measure and dimensions. Pages include the Overview, Key Influencers, Unexpected Values, and Simulation. Currently, Smart Discovery is only supported for acquired data. However, support for live connectivity is in our 2019 road map. Stay tuned! what was new in 2018.18? Is there an estimated date for when the Analytic Application and Script Editor functionality will be available to all users?